After months of speculation and anticipation, it’s official: Denmark is set to become the first European nation to ever host the ISA Worlds, with the land of Vikings confirmed as the location of the 2017 ISA World Stand Up Paddle and Paddleboard Championship in a major announcement today. In a clear nod to its Olympic ambitions, the ISA chose to announce Denmark 2017 during the Rio Games, and even went as far as sending Denmark’s most famous paddling export and ISA Vice President, Casper Steinfath, to Brazil for an Olympic-themed photo opp to coincide with the big news. Dates aren’t set but I’ve heard late August/early September is the likely window, so more or less 12 months from now (the ISA have said they’ll avoid clashing with the Gorge event). The 2017 Worlds will be split between Denmark’s capital city, Copenhagen, and the sleepy little surf mecca of Klitmøller, which attracts regular North Sea swells. The Danish bid, which launched last December under the name “COPENCOLD HAWAII” (a mash-up of Copenhagen and Klitmøller’s nickname of Cold Hawaii), was the first time a nation has publicly bid on the ISA Worlds, adding an Olympics-style level of authority to what has been a somewhat mysterious process in previous years. Other potential hosts came forward with private bids for the 2017 event, however I believe the only nation that seriously threatened Denmark’s quest was Israel (yes, Israel). There are still many specific details to be released in the coming weeks, though the venues are already set: Klitmøller will host the SUP surfing and probably a surf race as well, with Copenhagen hosting the marathon race and perhaps any other new racing formats that may be added to the schedule in 2017 (which I believe is on the agenda). As someone who spent half a decade living just across the Øresund in Sweden, I’m very excited to see the “Worlds” heading to Denmark. Not only is it an amazing country with beautiful culture and warm people, but the fact it’s in Europe means we may finally see the World Championship reach a new level of participation. I’ve long said that Europe needs to host the Worlds one day, not just because it’s a true hotspot for the sport, but because it makes so much sense logistically. 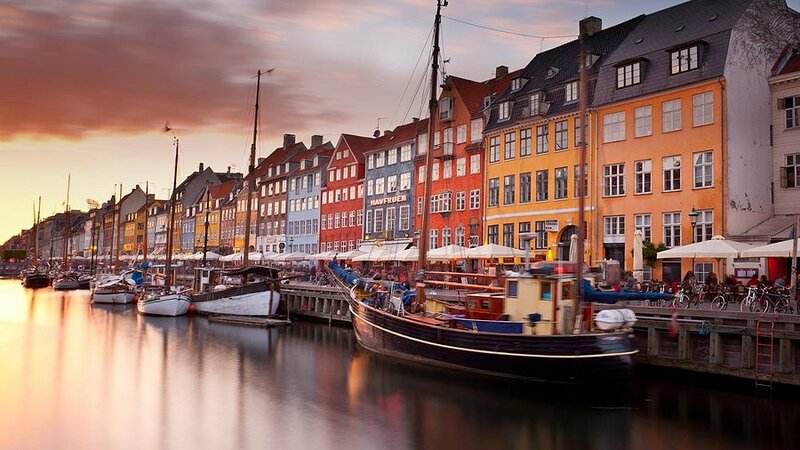 With the event in Fiji later this year proving to be a difficult proposition for many nations, Denmark will be quite the opposite — there are probably 20 national teams that could drive to Copenhagen. For that reason alone, I expect 2017 will be first edition of the Worlds to exceed 30 teams, and it could even go closer to 40 if there’s room on the schedule (and in Klitmøller) for that many athletes. I believe the current record for the SUP World Championship is 25 nations. Though while Denmark as a whole is easily accessible, Copenhagen and Klitmøller are actually five hours apart, meaning organisers will have to get creative with scheduling and travel arrangements to make it a seamless experience for the teams. 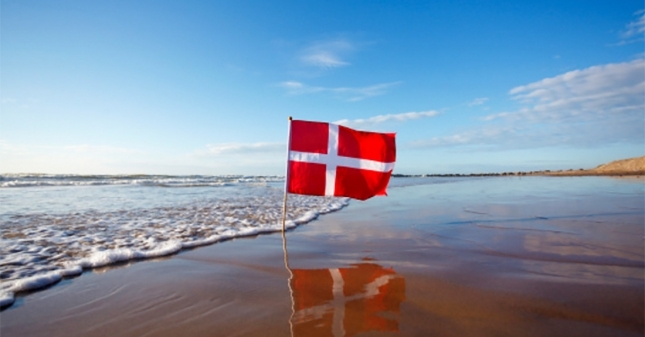 But the fact the Danes produced the first ever public bid for the ISA Worlds, combined with Denmark’s reputation as the least corrupt nation on the planet, means the event should be world class. How about the weather though? That’s a good question — “Denmark” and “sunny surf destination” isn’t exactly a common match. Assuming the event goes ahead in late August or early September, we can expect average temps in the low 20s (~70°F). That’s a long way from the sun-drenched sands of Sayulita that we enjoyed last year, though it’s hardly the Game of Thrones-style wintery landscape you may have imagined. Scandinavia in the summer time is actually one of the most beautiful places in the world, and either way, Denmark will have a lot of unique things to offer that no previous host nation can, so I’m pretty confident we’re in for an awesome event. But perhaps the most important question is: Does Denmark get any good waves?! Yes, absolutely. Sometimes. Klitmøller is actually a very well known surf spot within Northern Europe, though it’s still in Northern Europe, so while there’s plenty of potential, there are no guarantees. 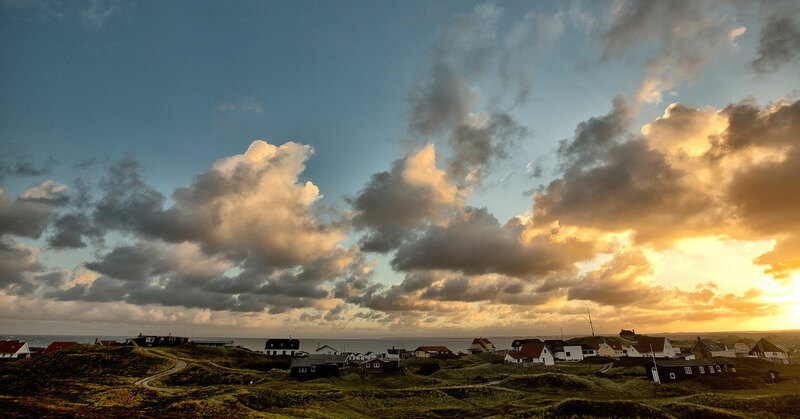 The beautiful little town, which has a population of just 822, is Denmark’s unofficial surfing and paddling mecca (it’s also hosted many PWA pro windsurfing events) and, speaking from personal experience, it definitely has a nice, laid-back, “surf village” vibe about it. Think “Hobbiton” but with waves. Klitmøller is also the home of Denmark’s most famous paddling export himself, who has been heavily involved with this entire project: In addition to being the ISA Vice President, Casper was the face of the COPENCOLD HAWAII bid (though he recused himself from internal ISA discussions over which nation would ultimately host the event, in order to avoid an obvious conflict of interest). 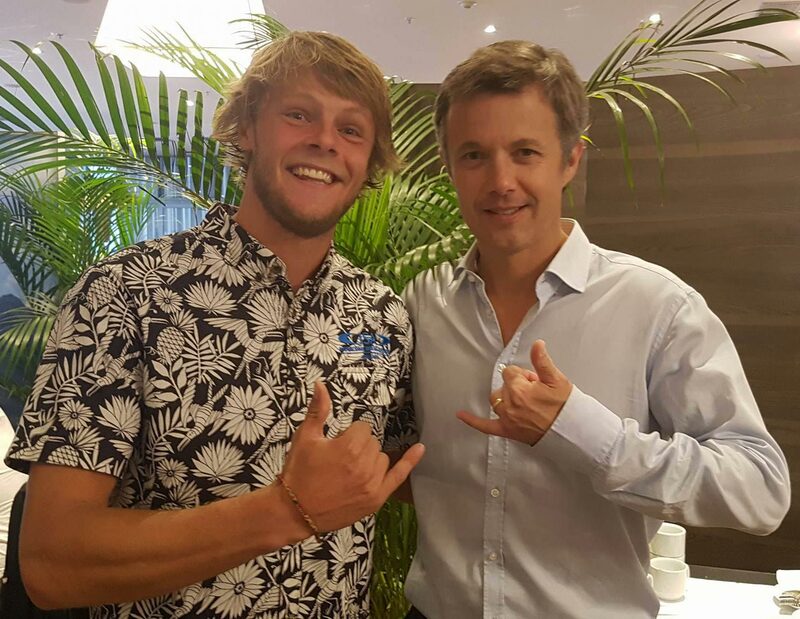 The Viking was actually in California just a few days ago, where he was planning to compete in Jamie Mitchell’s Survivor race on Sunday, before getting a last-minute call to fly to Rio for the Olympics photo opp, which included a meeting this afternoon with Denmark’s Crown Prince Frederik. The Crown Prince doesn’t have an official role with the 2017 event at this point, but he did tell Casper he was keen to catch up for a paddle and a surf when they got back home. “As a Stand Up Paddle World Champion, ISA Vice President and proud Dane, I am excited to be here in Rio de Janeiro for the announcement of the 2017 ISA World Standup Paddle and Paddleboard Championship that will take place in my home country of Denmark! It is fantastic that Denmark will be the first ever European nation to host the SUP World Championship, and this will be a great opportunity for Denmark, the ISA and the whole sport of SUP to write a new chapter in history by showing the sport’s true potential to reach all corners of the world. Europe is definitely a hotspot for SUP and I am so happy to see an event of this size come to the Continent. With the 2017 ISA Worlds in Denmark still over 12 months away, this is by far the longest lead time we’ve ever had for the SUP World Championship. That’s a great sign for both the event and the sport as a whole — the ISA Worlds aren’t cheap to run (I’ve heard multiple estimates of around three quarters of a million), so it’s very encouraging to know the Copencold organisers were able to convince the Danish government and private enterprise to fund the showcase event. The announcement also comes at a good time for the ISA, as they look to recover from questions about a perceived lack of leadership in the sport, something that came to a head recently when the Association was criticised for not including more women in the 2016 event. With the 2016 Worlds still a few months away (Fiji, November 12-20), this is also the first time we’ve ever known the approximate dates and specific location of the next two World Championships in advance, which will give the national federations a massive leg up in organising their qualifying events for next season. So, there you go, the 2017 ISA Stand Up Paddleboarding World Championship will be in Denmark. Anyone else suddenly feel like a pastry?